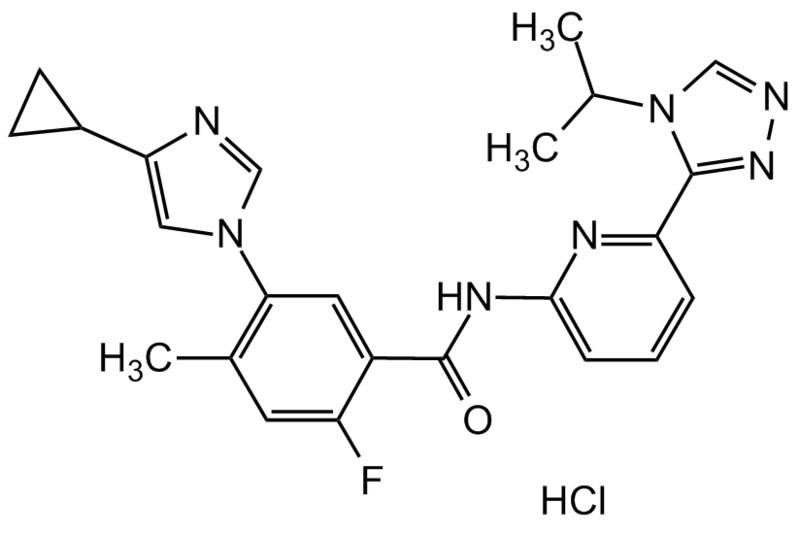 GNE-3511 is a potent and selective zipper kinase (DLK, MAP3K12) inhibitors. ASK1-IN-1 is an apoptosis signal regulating kinase 1 (ASK1) inhibitor extracted from patent WO2016025474A1, Compound 4. NQDI-1 inhibits apoptosis signal-regulating kinase 1 (ASK1) with a Ki of 500 nM. NG25 is a potent dual TAK1 and MAP4K2 inhibitor. 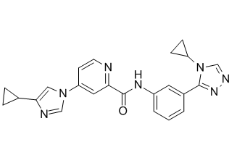 Selonsertib is an apoptosis signal-regulating kinase 1 (ASK1) inhibitor with a pIC50 of 8.3±0.07. 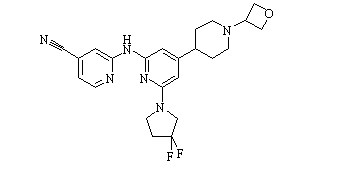 Selonsertib, also known as GS-4997, is an orally bioavailable inhibitor of apoptosis signal-regulating kinase 1 (ASK1), with potential anti-inflammatory, antineoplastic and anti-fibrotic activities. 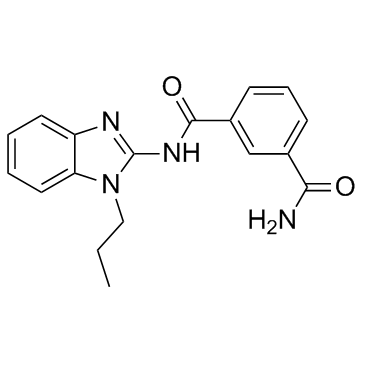 Takinib is a potent and selective TAK1 inhibitor with an IC50 of 9.5 nM.